Probably one of the best semi-old animes out with a good original-like story. 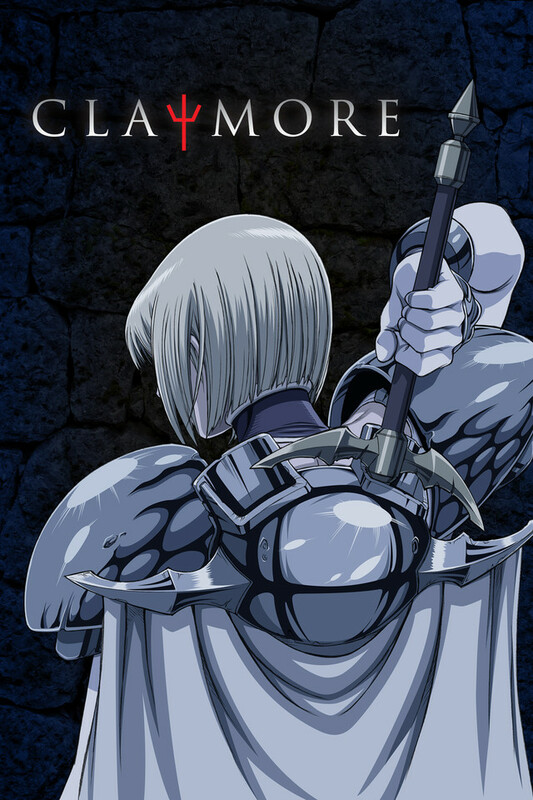 Claymore also is probably one of the first "you have to read the manga" animes out that truly didn't get the ending it deserved. Even with the manga being completed (and it's left in a way that the story could continue) this would be a great story to have fully remade (I'd ideally love the studio that did Blood-C to do it) to include the arcs not seen in this short series. This is a classic everyone most watch! I enjoyed watching a Medieval setting to this anime, very shounen, and the animation is very unique, in a good way. This anime is really good and recommend it to anyone who likes violent fights and good character development. Also what is enjoyable about this show is you really see how the character improves and grows throughout the show. Seriously who doesn't wanna see a bunch of awesome girls slice monsters with huge swords.